Wow! I am so glad that I stumbled upon your site. This brought back so many memories. My days in the chapel and my nights spent on the back side gate. I wish their pictures of the chow hall or the barracks of the 501st. 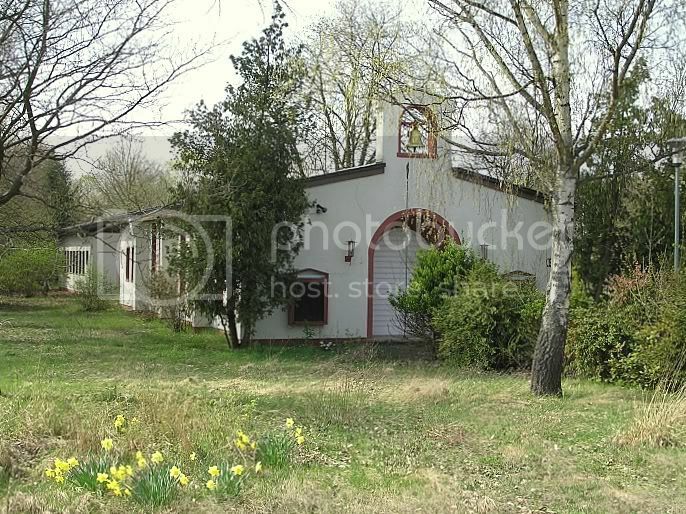 The picture of the Chapel brings back great memories of Spring mornings and all the flowers and trees blooming. The Chaplain's assistant would ring the church bell for the Catholic and Protestant Services. This is a great find. 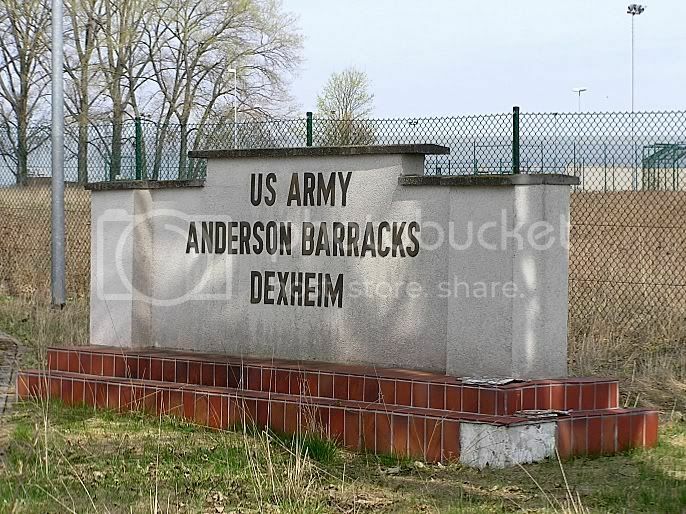 I was stationed in Dexheim from 1975 until 1979. I can still recall the 3 to 5 mile run through the beet fields each morning for PT. I was a Combat Engineer Track Vehicle crew member and a mobile assault bridge operator during my enlistment. I married a local girl from Oppenheim. We lived in a little apartment nest to the slaughter house in NeirsteinI can almost taste the Schnitzel and liebfraumilch. I remember the Chapel well, I got to do special duty as the Chaplin’s assistant for a time. 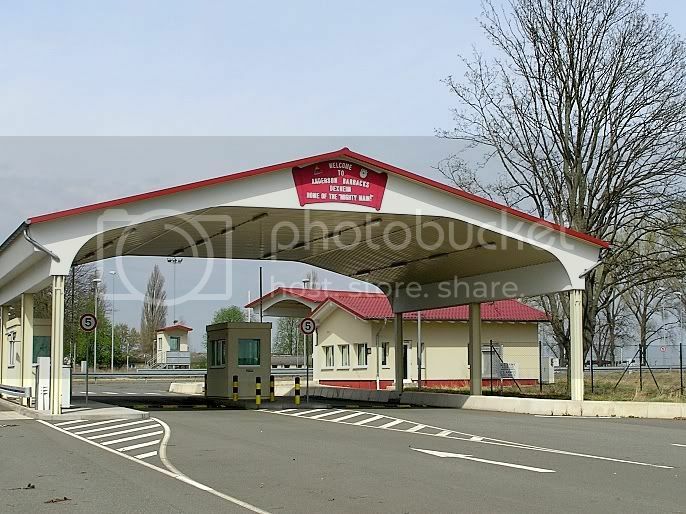 I also remember the front gate, I was assigned to drive the Van that would drop off and pick up the enlisted men in town. It’s really hard to look at these photos and not get emotional I had so many really great memories there. It is also sad to see it in the over grown stat it’s in. papamike69 I was on the mabs when they sank in the rhine Jan 25, 1977. Hit my head on deck railing when I went into freezing cold river. so cold I couldn't even move my arms or legs. Got lifted into engineer boat about a mile down from crossing sight. I was a combat engineer MAB operator at that time. Was stationed in Dexhiem from 1978 to 1981 with 12th Eng Bn. Made a lot of friends with the Germans. One German couple come to visit us in Florida ever 2 years and update us on what is going on in Dexhiem. Thanks for memories. Thanks for the pics! My grandfather's brother is Ameth Anderson who the barracks are named after. It is really nice to see this. Wow great memory's , my heart pounded when I saw this, great friends and good times.. I served in 1985- 87 late A co. 2nd plt. 5 ton driver. I have not seen Anderson Barricks for long time, until recently. I was always sad to leave such a honored time there. All the wine fields , history, I wish, I would have understand the history of the area at the time. I'm sorry to see it closed. I worked the front gate and the chapel. Even moved in the new patriot battalion for a bit , so the Germans work on Aco Barricks ,feels like its been calling out to me as I'm getting older. To see her before it's gone. I remember the whole base bldg and all ..I honor all my 12th eng friends miss you guys . Romero J Aco. Thanks for the great photos. The front gate is different and a lot nicer than it was. I was in A Co 2nd PLT 5 Ton driver from 1974-1976. Then E Co CEV Platoon my last year to 1977. Calling A Co. Under the Command of Capt Davis those were the years 85-89. Been quite a few years. IF anyone from those years, would be great to hear from you guy's. Honor, Duty, Country. Culpeppers were there at Dexheim from 1988 - 1991. Great memories!! Was a military wife in Dexheim from 1974-1978. Worked on post for Big Bend Community College and for 3 years in the CDAAC office for Lts Zoephel and Lt. Schwartz. The pictures look a lot different from when I lived on post. Would love to reconnect with Diana Finney, Director of the college, or anyone else that remembers me. Alicia McCullough (now different name). Glad to see this sight. I was an Army wife at Dexheim from 1975 to 1978. Husband was stationed at the Missile base on the hill. I worked in the PX on post. Great base and in a great location. I was at "The Heim" from Nov. 1975- Nov. 1978. Echo Company, 3rd Platoon, A.V.L.B./C.E.V. Echo-34 was mine. A.V.L.B. Tent city, Tent mess hall, Herman/Nelson heaters not working, Good Times!! Wine fest in Oppenheim, I wathced the M.A.B.s sink with two brand new M60s on board. Lived in Dexheim, Guntersblum and Saulheim. New Z.Z. Three years... seems like a long time ago now. My name is Randy "Big Bird" Olm I now live in North Idaho, Priest River. I am a Saw Filer in a saw mill located in LaClede Idaho. Idaho Forest Group. Been working mills for the last 30 years. Still married to Rose, 36 years last June 7th. My thanks to Mike Walrath for introducing me to Jesus Christ, still walking with Him, thanks Mike. I was there from 82-85 in c co 3rd psg and company ops sgt. great times were had there. I was an Army wife at Dexheim from October 1980 through May 1983. My late husband, Bill, was with the 12th Engr. Bn. Aid Station & I (Carol) worked in the dental clinic as the receptionist and or secretary. We loved it there! Thanks for the pictures. I was stationed at Anderson Barracks in 1968 and 1969 until I was sent to Vietnam. I was in H H C , 1st Platoon. Was the Battalion Surveyor. Lots of memories there!! Of course the front gate was a lot different in 68 than it is today. Was also involved in the move out to the "freedom gap" as we called it when the russians invaded the Czechs. Spent some very interesting time on the border when we thought we were about to go to war! Thanks for the post. Went to Germany on the USS Upsure (troop ship) Apr 1965. Assigned to Echo (Bridge) Co. Crew chief on an ARCE (Amph. River Crossing Equip.) Departed Jun 30, 1968. This is SP4 Brockwell "Brock" I was at the Heim from 76-79. I was Colonel's Orderly the day the MABs sunk in the Rhine. I was driving the Colonel around that day when he got the call about the MABs sinking. I was there when the Germans floated the "Shark" down the Rhine to haul out the MABs. What a mess! I was greatful no one was hurt. Thank you for the pictures! Ameth Anderson was my great uncle. 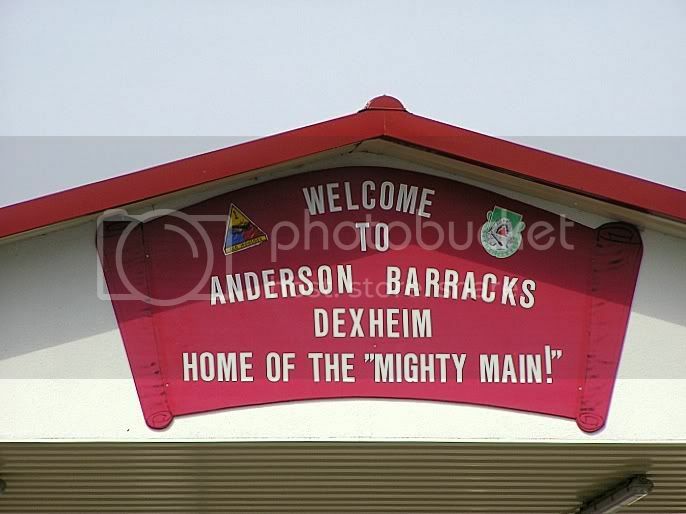 i was their from 1193 to 1996 on hill 501st mi went their right out of high school and is where i got a dose of growing up and wish their was more picts of dexheim for memories. I was in D.co also Sharkfan from 79 thru 82. 1SG Climente always made the company spell his name during formations. I was in 2nd Platoon SFC Hammond was my Platoon Sergeant. I was there from 1977-1980 Delta Dogs. I remember they were building a second ADA barracks. Their was a radar station and missile storage area. You had the Motor pool the theatre/ bank/snack bar/enlisted club/barbershop, then across from that was HQ offices and the parade field and dependent quarters and officers club, then from the front you had HQ company followed by A-E Company Barracks, then the Recreation Center and Gym. Behind the Barracks they had storage buildings and the NCO/club, everything was compacted together. If you didn't have a car it was wait for the evening pass van or hitch hike to town 3 miles away. Neirstein and Oppenheim were local hangouts. But you could take a worker train to bigger towns fairly easily. Many weekends spent in Mainz and other towns hanging out. Pretty boring place if you just hung out on base. A Company 1958-1960, the good old days. We went airborne in '58 supporting the 504 and 505 Battle Groups up in Mainz. Jumped all over Germany and even down at Pau, France. Remember moving out New Years Day on a Seventh Army alert during the Cold War (froze our ** off), chugging nucs around the countryside. Loved Oppenheim. Many, many memories of my first duty station as a 2d Lt. Platoon Sgt and all Sqd Ldrs were WW II and Korean War vets. Taught me the ropes, will never forget them. Does anyone rememeber Joe (Jayee) Hardaway, he was in Dexheim from 1985 - 1987. Just reaching out to anyone who may have known him. He has been deceased for 18 years now. email eennis26 @ yahoo. com. MANY FOND MEMORYS. WOULD LIKE TO HEAR FROM ANYONE STILL AROUND FROM THE FIFTYS. Dave Jewell stationed at the Nike Site from 71-73. Had a lot of good times and great memories. Stationed at the Nike site 71-73. Met a lot of great people and have some very fond memories of the Heim. For a place to be stationed in Germany, it was perfect. I was stationed there from 83-85 in Echo Company(River Rats), maint section. I was there under the leadership of 1st Sergeant Mohs, I remember his brand of PT and his infamous morning runs through the local countryside. Met a lot of good guys there, some I've ran into all these years later. Rex [Bub] Brooks I was there May 1971- Oct. 1973 Delta Co. Capt. Davis [Smoke] was the Co. We arrived in time for the Battalion Riot and left the next morning for Grafenwoehr for 3 months. What an experience, but would not change a thing. Great brothers in arms and a great country to be in. Wish I could go back. Looking for some of my old buddies. Platoon Ldr Lt Beaver. I remember some enlisted Zamorrow from wyoming. Miller company clown. Conan t. clayton, some great times on weekend passes to Amsterdam, Mainz. I was stationed there in 1954-1956 when Anderson Barracks was home to the 17th armored engineer battalion. I visited it twice since, once before 9/11 and once after. What a difference. My barracks looked more like a college co-ed dorm than it looked ion 1955, in the "old army." William J. Roberts; aka Bill, Billy, Robbie, (Acting) Sgt Roberts: of Alpha Co.12th Engr. Battalion Dexheim, Germany. Airborne all the way! Remembering all the jumps, many at night and all the good times serving with First Sargent Jackson, Captain Diffley, Lieutenants Weaver and Dinsmore, SFC. Birchfield and many others that helped me grow up. Loved my time in Germany and all the traveling with Charles Hodges; miss you Hodges: My best friend and room mate Sgt Hodges; we were young but he, as I see it now at 63, was a man's man even then, a solid upstanding soldier and friend. Sorry Hodges that I didn't trust you with the loan for the Triumph when I trusted you with my life as a brother soldier! I made a terrible mistake. Hope some day you read this and forgive me! To all the other Soldiers of Alpha Company, miss you all and thanks for the memories we made in Germany and for being spit shine and polish; Airborne all the way and then some Drill Sargent!!!! Stationed there 1964-1966 Adm Special Weapons Platoon Headquarters Company. Great memories. Traveled as much as I could when there. Just went back March of 2015. It is all locked up. Parked on the road out front could only see the Company buildings and the old front entrance guard hut. The Chapel is still out front. It is all boarded up weeds and trees growing around and over it. Went into Dexheim looking for the old DK Gasthhaus not there any more Spent many a night there. I remember Margaret and her parents owned it. Had the duty a couple times working the courtesy patrol going around to all the haunts picking up all the drunks in the 3/4 ton and taking them back to the 12th. Great memories was a little sad to see a place that had so much life and energy closed up. Was stationed there from '86 to '88 with the 178th Maintenance Company. Worked in Tech Supply. Awesome memories of traveling the country, attempting to stay sober, many times unsuccessfully, and great friends. I am glad I came upon this site. Often search for things related to my time there. Hope to make it back for a visit. C Co 12 en 88-91 548 opp. I was the manager of the snack bar from 1973 - 1974 during the renovation. Many great people stationed there. 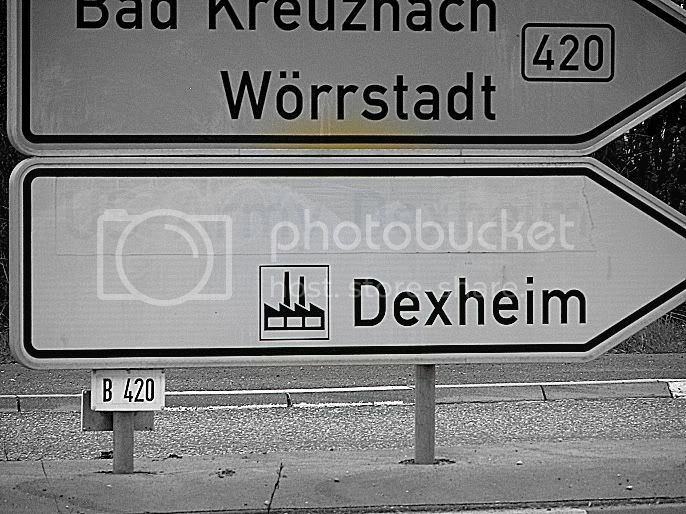 Lived in Dexheim. Enjoyed the car races. I was special weapons, ADM weinie 1961-1965. Worst mess hall in Europe! Good money.4dm10 or 3dm90 for a dollar. Fantastic sight seeing. !st. son born there at BK. Was a translater for maneuver damage and German American Friendship Day. It was a HQ company. 12th ENGR, 8th INFG.Div. Great memories in Dexheim! My name is Keith Hinton. I was stationed with the Patriot BN from 1987-1989. If anyone out there wants to chat about the fun times please call or email...(803)673-0198 or khinton68@msn.com. ..
Stationed there there in 84-85. Do Co. I was with the 12th engineer battalion, special weapons (ADM) platoon from '68 - '70. 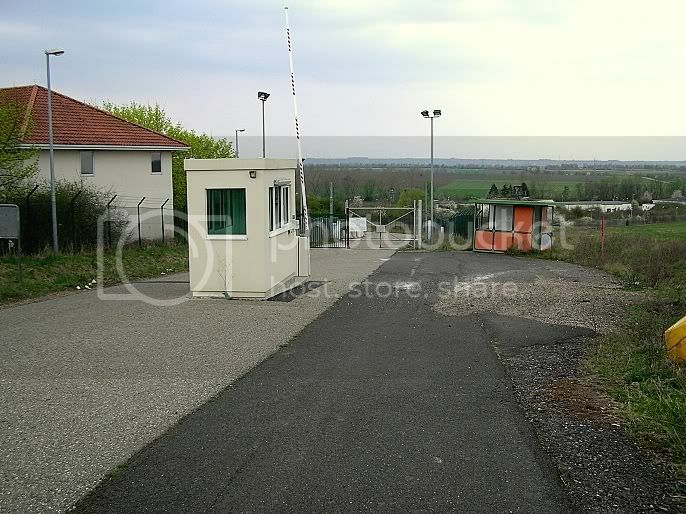 I spent many hours in the "shack", which was a small secured building located in the motor pool. I have a lot of great memories from my tour there, both on and off the post. Unfortunately, I've lost track of the guys I served with. It's also very sad to see the current condition of Anderson barracks. I had hoped to go back someday but I'm not so sure I want to see it in its current condition. Brian Rowe, E-5. My name is Monika and I'm looking for my father , he was stationed until 1983 in Dexheim . his name is eduado rivera . I have him never grsehen no photo no . Now I myself am 33 years and have 3 children . I want to see him even necessarily . I was there from April 74 through July 75. 5 ton driver for B CO. 1st 12th engineers 1st platoon (b18). Lt. Zophel was my platoon leader. Served in Echo Company from 84-86. Great times at the heim including pass van to Nerstein for yager schnitzel, PT in the wine fields, ski trip to Garmish, Costa Brava Spain trip, tent city, those long convoys to the field. I believe I may have served with you. I've been trying to reconnect with a few of my old buddy's including Moe, Jeff Little, Finny, Dexter etc. i was on the top floor. I did contact David Jackson, but forgot a lot of people's names. Any info will helpful. Thanks.. Echo Hard River Rat forever! I was a tower rat mp from 78-80.Proud member of Baxleys burnouts Sad news Richie Joe Matchett passed away last year.Miss you guys. I was stationed with HHC, 12th Eng Bn, from Jun 1978 until Jun 1982. The Family and I, spent most of the first night in Germany in the Frankfurt Airport, waiting for our Sponsor, due to the roads being flooded by the Rhine River. We finally were picked up by my sponsor, we had to drive the long way to Dexheim from the Airport, finally arriving at his on post quarters. I remember my kids waking up and looking out the windows and saying ooh and ahh about seeing "Christmas Trees" behind housing. Turned out to be Nike Hurcs standing up. We ended up staying at the Sironinoff Hotel in Nierstien for 90 days and then were finally moved into the Worstadt housing Apt. 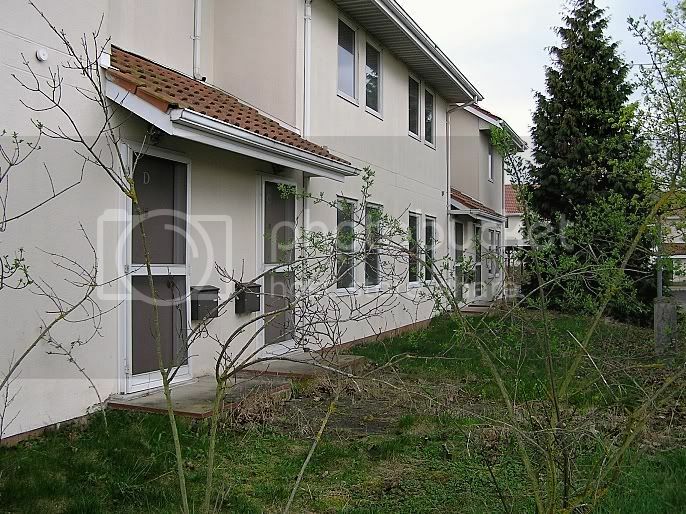 We later moved into Dexhiem housing, first or 2nd appt building from the club. I worked for HHC Motor Pool under SFC Ernest Stubblefield and SSG Gordon Knapp as the PLL/Tammy Clerk. I remember all the late nights or working into the morning getting ready for AGIs on Super Bowl night. I still recall the night GK and I had to report to the Capt Houchins Tent when we got caught coming back from town, during a REFORGER exercise. I later worked with BMO as the consolidated Maintenance TAMMS/PLL Supervisor under the BMO Warrent Officer ( i forgot his name). I worked as HHC operation Sgt under serveral commanders and remember that fondly. That job and some of the other prepared me later when i became first the Director of the Water Purification School and then later First Sergent of the 54th Quartermaster Company. There was many a long night but was very rewarding. I ran with SSG GK Knapp, HHC Maing, SFC Dixon. HHC Commo, SFC Grigsby, Bn S-1, SSG Dominic Orlando, HHC Heavy Equip, SGT Cox, Heavy equip. You'd find us in one or other quarters. Like others, i recall the runs through the grape and beet fields, wine and beer feasts, voxmarches with the kids. Being able to go camping across Europe in my little blue Chevy Monza Station wagon. Cookouts on the Rhine and watching the kids react to their first snow. I have always appreciated the advice and comradeship that we had in the 12th and consider the people that I came into contact with in Dexhiem (all companys), part of my family and one of the reasons that i was able to move up in ranks later on. Thanks to all of them and hope that they are doing well. Thanks for the memories! Sad toes it overgrown & abandoned. I was in E Co. 12th. Eng From Dec 77 til Mar 81 as a Sgt. E-72 was my MAB. When I got there it was sitting in the corner of the motor pool neglected. Only 3 tires, hydraulics inop, as well as other problems. My crew was Pvt Letendre, Spc Mullins & myself. Within a few months it was the most dependable MAB in the company. Thanks guys!!! Later we got the Ribbon Bridge on 5t trucks. Lived in Saulheim & on PT mornings several of us would shower in the barracks & then have breakfast in the mess hall. Every Fri morning on AFN it was "Chicken Man" & "Freebird" in honor of the freedom bird for those DEROSing. Every time I hear Freeboard now it takes me back to that round table in the Dexheim mess hall with Jack Bishop, Smitty Babcock, Leonard White, Carl Cannon, Jess Nack, Jack Vaughn... all E Co. SGTs. CPT. Bob McClure was the commander & I owe him a special thanks for getting my flight career started. I WAS STATIONED IN MAINZ, GERMANY A CO.FROM JULY 75 UNTIL AUG. 78 REMEMBER ALOT OF GOOD TIMES IN MAINZ MADE A LOT OF GOOD FRIENDS THERE WOULD LIKE TO KNOW IF AND WHEN A CO. WENT BACK TO DEXHEIM WOULD LIKE TO HEAR FROM ANYONE IN FIRST PLATOON BIG BIRD, RICK HEINE, jUST WOULD LIKE IT. been a long time. living in Arkansas now. Served with B-5-1, the Nike battery from 1968-1970. Great memories of the movie theatre and the bowling alley and of course, the PX. Loved walking into town to eat a Brat at Mom's and a few beers. Great guys and we were all grateful that we were there instead of Nam'.